November is here and the holidays are quickly approaching, with family and friends coming from near and far, holiday decorations filling the stores, and Christmas carols will soon be filling the air. The best part of November is showing and giving thanks for all that we have and those that we love. At Skin Perfect, our clients are what we are most thankful for, and November is the month we want to give back to those we cherish most: our clients! 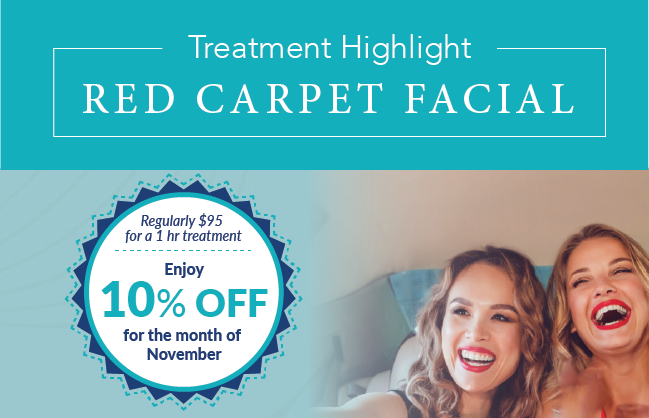 November is also a great time to speak with your esthetician about your skin care regimen and skin care treatments. With the weather changing, our skin has different needs than it does in the warmer months. Also, who doesn't want to look great for all of those holiday parties?! Be sure to stop in and see us! Hope to see you soon. This blend includes pumpkin wine - which is designed to refine the appearance of pores, gently exfoliate and provide added nutritional benefit to the skin. Vitamins, amino acids, enzymes and other advanced ingredients gently exfoliate to create a healthy glow. This exfoliant is also formulated with aloe, as well as lactic and citric acids, to refine pores, remove superficial dead skin cells, and leave the skin smooth and clear, and a blend of botanicals to calm the skin. Perfect for getting your skin ready for those holiday parties! Everyone needs that added boost of hydration during these upcoming winter months. 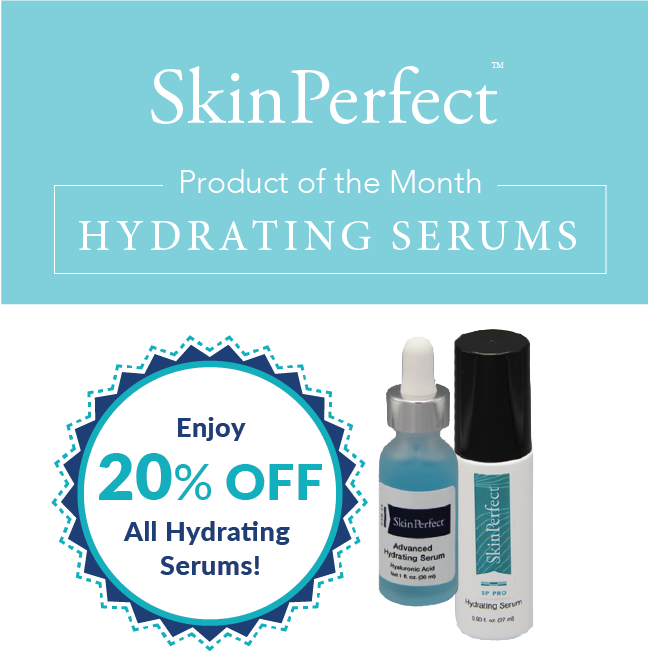 We proudly carry three different levels of Hydrating Serums at Skin Perfect to benefit everyone at every age and every skin condition. All of our Hydrating Serums are formulated with hyaluronic acid, which holds 1000x its weight in water and acts as a powerful humectant. One of the best qualities of youthful skin is its ability to hold water and retain a balanced amount of moisture, which is why a hydrating serum is must! Ask your esthetician which serum is best for you! 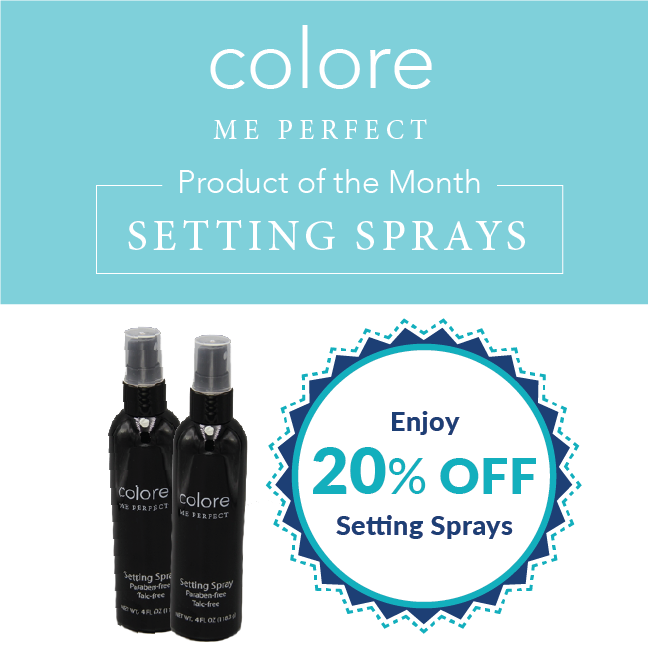 With our Setting Spray, just set it and forget it! A quick mist and this weightless spray will give your makeup serious staying power. The sprayer delivers a micro-fine mist that goes on so light, you’ll hardly feel it—and once you’ve applied it, you won’t even know it’s there. Spray it on over your face after your beauty routine to help your makeup stay put through your daily wear and tear. The CMP Setting Spray is also a great way to add a spritz of hydration to the face during these upcoming winter months. Jaclyn loves using this when she is flying all over the country as her skin reboot product. Skin Perfect is proud to announce that we now carry Sprayology! Sprayology offers 23 Homeopathic Formulas in an easy convenient spray that rejuvenates the body, relieves symptoms naturally, and works to restore balance to our bodies. Sprayology marries science and time-honored natural medicine with convenience and innovation to enhance healing and well-being naturally in a convenient spray that is used under the tongue. It re-defines wellness and makes it easy to incorporate natural products into your daily life for better health naturally. Sprayology offers the most holistic and fast-acting homeopathic products available on the market today. Come to the Sprayology event at our Skin Perfect Polaris location, December 7 from 5-7 PM! Minka's jewelry has opened at the shops at Worthington place. Now featuring handmade, artisan jewelry, one-of-a-kind furs and winter trendy clothing. 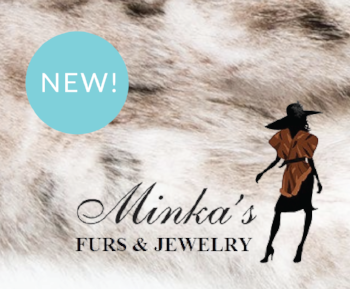 From cashmere to cotton, rabbit to mink - if you like unique and unusual, check out Minka's fur. Stop in and mention Skin Perfect for a free gift with your purchase! Ashlee just hit her 5 year anniversary with Skin Perfect in October. She has become a pillar to our Skin Perfect foundation, along with Jill and Vaidila. We are so grateful that she joined our team five years ago. Her love for science and chemistry promoted her to product developer early on in her journey at Skin Perfect. She also helped create our CMP hand board analysis system as well as our new 16 city color palettes. She is multi-talented with her love for color and skin thereby making her a perfect fit in our Skin Perfect team. She is getting ready to start her endeavor as a team lead at our Polaris location. Ashlee has four amazing kids (Mason, Carson, Heath, Shelbi) and a supportive husband (Heath) who are her biggest cheerleaders. They have watched mom evolve into a master esthetician, an artist, a product developer, an instructor, and now a leader. We can’t wait to watch Ashlee continue to bloom for years to come!